Observation - Polysiphonia sp. - UK and Ireland. 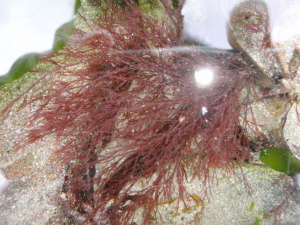 Description: Red seaweed with very thin branches. Like a small bush attached to a rock. Red seaweed with very thin branches. Like a small bush attached to a rock.